Home » Provocations in Syria And Aggravation in Kerch: How is Britain Involved? On November 25, at an extraordinary EU summit, Brussels and London agreed to withdraw Britain from the bloc. The agreement is alarming in the British Parliament and the government. The document does not want to approve not only the Labor Party opposition but also individual members of the ruling conservative party. Not knowing how to express their discontent otherwise, Brexit Affairs Minister Dominic Raab and Labor Minister Esther McVay resigned on November 15. Earlier, Foreign Minister Boris Johnson also resigned. 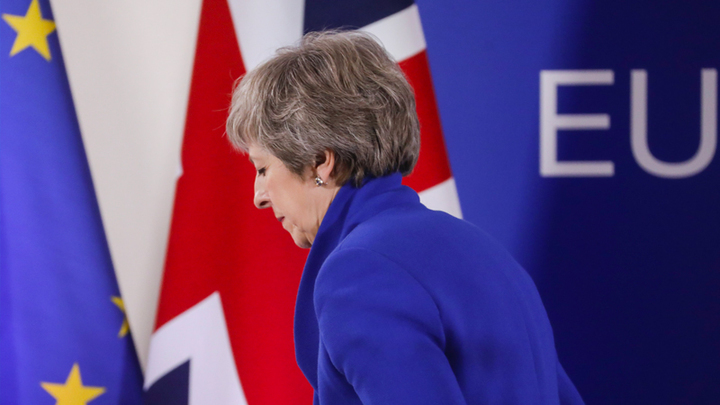 Theresa May's government is actually a kamikaze government, because she understood very well when she went to the snap elections in the summer of 2017 that the Brexit agreement would be difficult and would have long-term consequences for the conservative party. Perhaps we are on the verge of May's resignation and the new early elections, in which Labor is likely to win, who will rule the UK for four years, or even eight. A political crisis needs to be covered up. So that the British do not calculate the billions of euros that London will pay to Brussels as compensation, and May’s office did not crumble at all, we need an “information discharge”. The case involves the manipulation of the media. Before the summit itself, the police published new video clips with Petrov and Boshirov. Now they decided to cover the Middle East. Creating various kinds of informational reasons not directly related to British domestic policy, the government of Theresa May camouflages its main problem - the adoption by the British Parliament of an agreement with the EU on leaving London from the European Union. Therefore, the chemical attack that was carried out against the civilian population of Aleppo is also designed to divert international public understanding from British domestic political issues. The May government has enough tasks to complete. The most important thing is to get support from the UK parties. On the same day, when 28 European leaders gathered in Brussels, a chemical attack was carried out on the controlled Syrian government of Aleppo. About 100 people were injured. The areas from which chlorine-laden shells flew were located southeast of the demilitarized zone in Idlib. They are controlled by the Hayat Tahrir Ash-Sham group, the former An-Nusrah. The White Helmets, the pro-British structure, which has long been preparing a chemical provocation to blame Bashar Assad, is to blame for the dramatization of the attack. The goal of London is to provoke a response from Assad and the Russian air force, which the day before hit the militants in Idlib. This could lead to a breakdown of the agreement between Turkey and Russia on the demilitarization zone. Last Sunday, an equally serious international event took place - a provocation involving the military courts of Ukraine in the Kerch Strait. Its relationship with Britain is less obvious, as in the case of Syria, but here and there, the political logic of the concerned parties coincides. The President of Ukraine needs an aggravation in order not to fail in the March elections or to gain time, just as May uses Syria and Skripal case to delay her resignation. After the introduction of martial law, elections in Ukraine may be delayed. Britain also wins from the "small mess". There will be additional reasons to agitate for new European sanctions against Russia, and the anti-Russian information background will smooth out the corners of the Brexit agreement sticking to Britain.